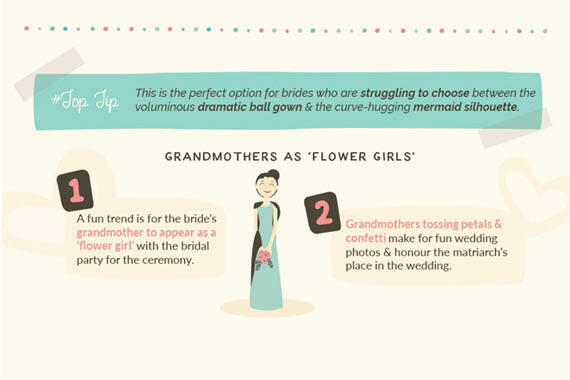 Did you know that one of the latest trends for wedding dresses is the ‘two-in-one’ style? 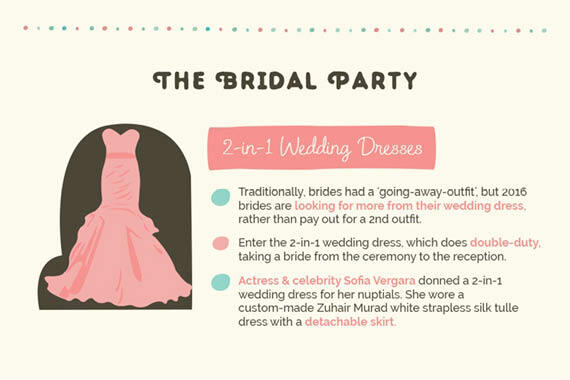 Brides are turning to this style because it is so versatile and the most common way to wear it is with a detachable skirt. 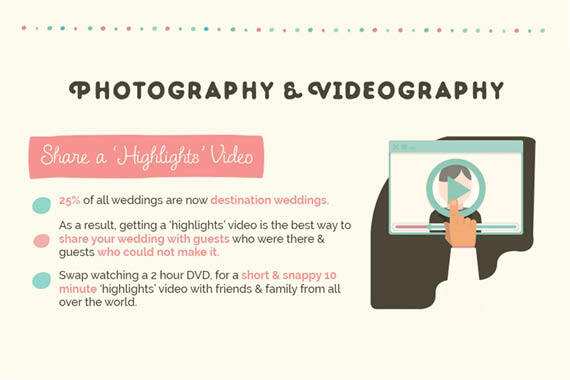 Another emerging trend this year is a ‘highlights’ video for social media. 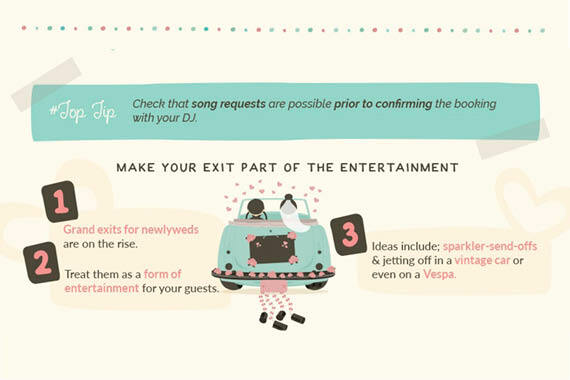 With 25% of weddings now destination weddings, it is not always possible for everyone on the guest list to attend. 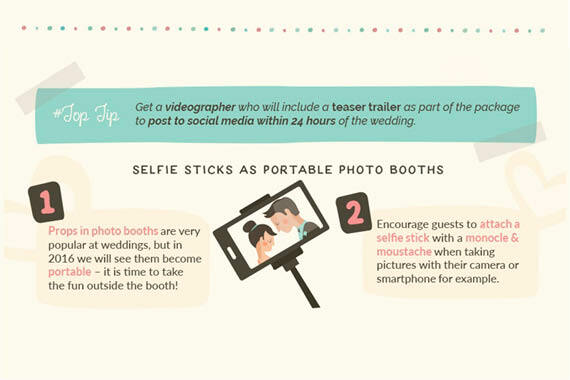 ‘Highlight’ videos shared online help those who could not make the big day, feel part of it! 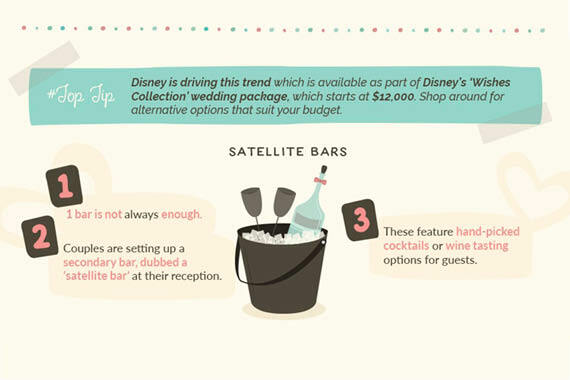 In the wonderful and fun world of wedding entertainment, there is a trend for ‘Satellite Bars’ popping up. 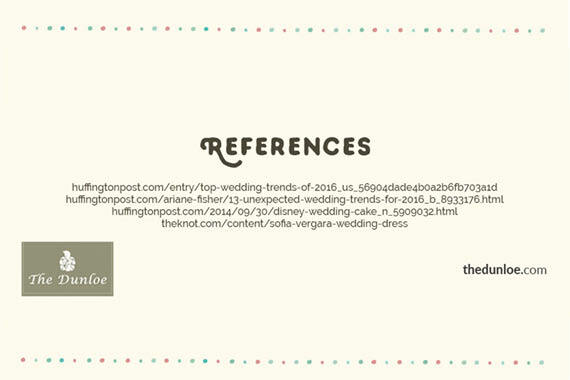 This is a secondary bar at the reception venue dedicated to the wedding guests and often features signature cocktails that reflect the newlywed’s choices or have fun tasters trays of beers or wine. 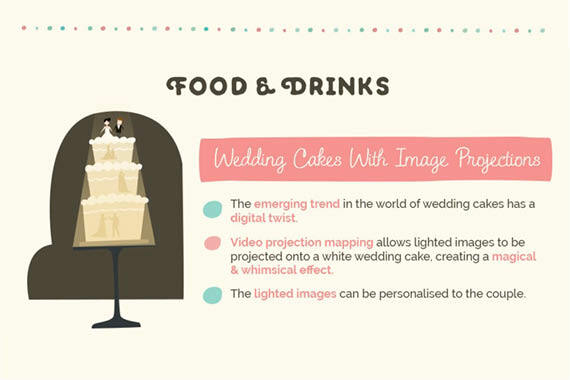 One trend no-one could have predicted is wedding cakes with a digital twist! 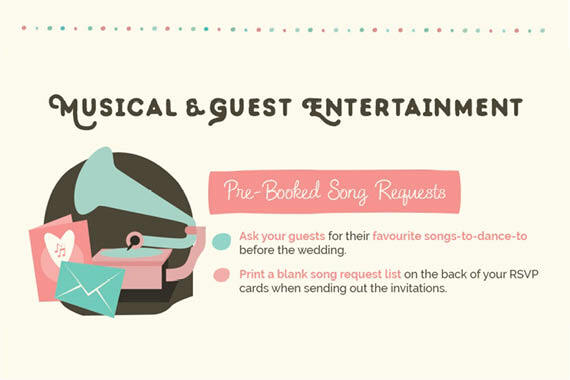 While this is being spearheaded by Disney, the projected image style cake, where a custom image is beamed onto a white wedding cake, is one to watch out for as more vendors get in on the act! 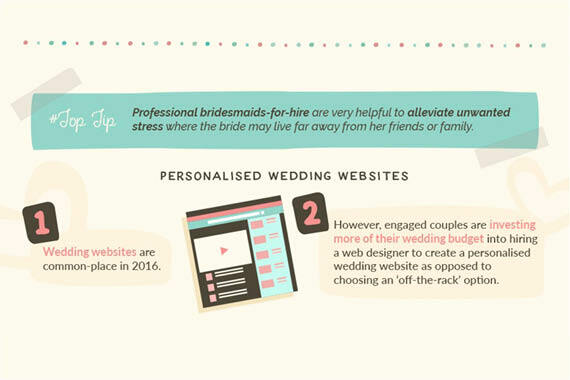 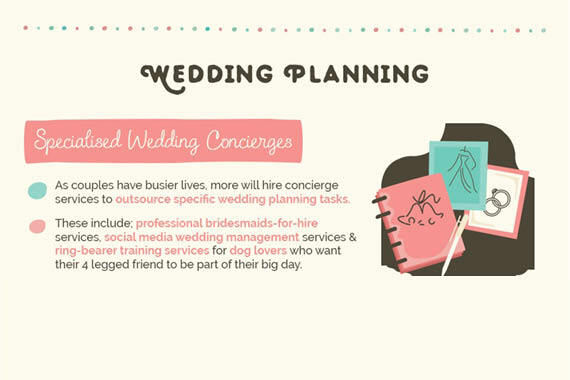 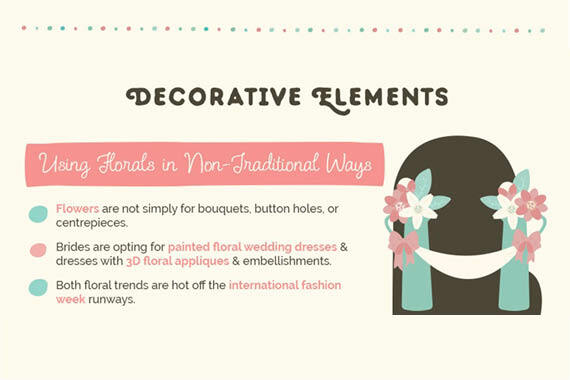 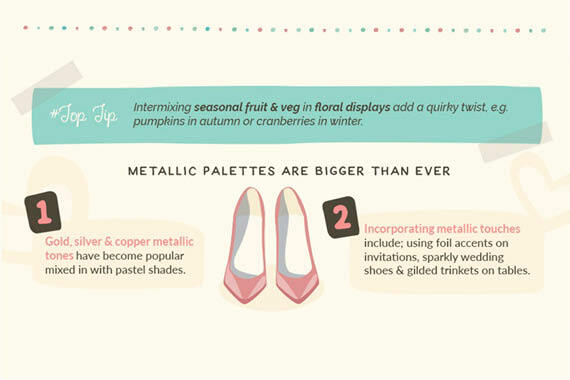 For a visual of the emerging wedding trends this season, see this infographic created by Killarney Hotels.